Cloud Isn't a Place. It's a Strategy. At Sturdy, we approach every project with a strategic view of your business first. Then we design and deploy custom architecture to maximize the power of the AWS cloud, as well as opportunities for you to execute better and more profitably. We’re architects, engineers, and strategists rolled into one lean, mean machine. We Know the Cloud. Inside and Out. At Sturdy, our entirely on-shore, California-based team has implemented hundreds of enterprise-level environments across a multitude of industries. 100% of the Sturdy team is AWS certified and most hold multiple accreditations and certifications. Our experts partner with you every step of the way, from strategy to implementation, and beyond. We’ve done it for Fortune 100 companies and we can do it for you. Unlike many cloud consultancies, our entire team is AWS certified. 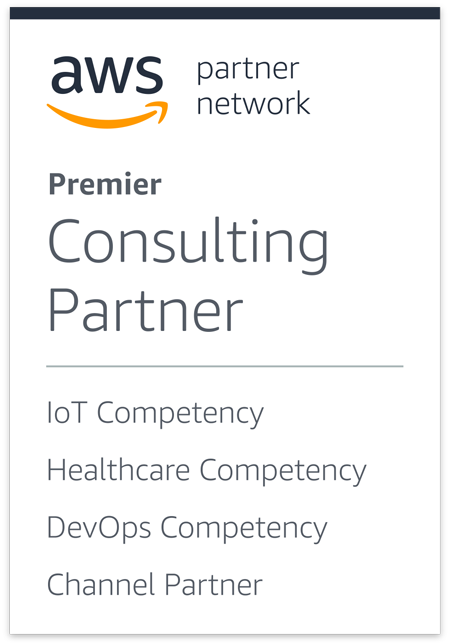 Our AWS Advanced Consulting Partner status means we know how to harness Amazon’s powerful ecosystem to increase scalability, availability, security, and performance. At Sturdy, DevOps is more than just a buzzword; it’s integral to our culture. We believe in leveraging repeatable best practices, automation, and a continuous integration and deployment approach to get you to market faster — with higher performance and less risk. Our roots are in software development. With experienced developers embedded on our team, we’ll ensure that your migrated applications are optimized for the cloud. We can also create custom solutions built to work beautifully in the cloud from the get go. We believe that technology is only a means to your ultimate goal: to work better, faster, and more profitably. We pride ourselves on being able to see problems — and opportunities — ahead of the curve, while continually aligning your business objectives with first-rate customer experiences. Need an experienced team who can deliver performance and security while complying with strict regulations? Medical device manufacturers with IEC 62304, ISO 13485, 21 CFR, and HIPAA requirements, and SaaS vendors with PCI requirements, rely on us every day to do just that. Our team works under one roof, maximizing collaboration, communication, and resources, while reducing time-zone challenges. We believe the best outcomes happen when you bring together talented people who are also fanatic about client success. We design, build, and support custom software for a variety of applications and industries from media and entertainment to financial services to e-commerce. Our team is intimately familiar with SaaS, mobile, and the Internet of Things, including connected medical devices. We are proud to have achieved the rigorous AWS IoT, Healthcare, and DevOps Competencies. The entire Sturdy team did a fantastic job of helping JibJab navigate the significant challenge of migrating our applications out of our data center into Amazon Web Services.